Expertise Areas: Business strategy advice, Business partner search, Market mapping, Executive search and recruitment, Talent acquisition. Jurga Baltram is a Consultant at Pedersen & Partners, based in Amsterdam, the Netherlands. 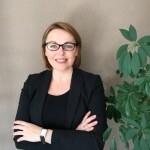 Ms. Baltram is a recruitment advisor and senior-level talent management professional with an international search career spanning over 15 years in Human Resources, business development and consultancy. Having worked in both regional and business line talent acquisition leadership roles, her main focus is on talent assessment, coaching, leadership development, organisational design, performance measurement, and career development across mature and emerging markets. She built her reputation from prior mandates as a Senior Partner with a Hong Kong-headquartered HR strategy consulting firm, as a Talent Acquisition and Career Development Manager for a Lithuanian investment holding, and while holding an Assignment Manager role with a global Executive Search network. Ms. Baltram holds an MSc. degree in Social Sciences from Vilnius University in Lithuania. Apart from her native Lithuanian, she speaks fluent English and Russian and can communicate in Dutch.